Product prices and availability are accurate as of 2019-03-15 09:13:41 EDT and are subject to change. Any price and availability information displayed on http://www.amazon.com/ at the time of purchase will apply to the purchase of this product. 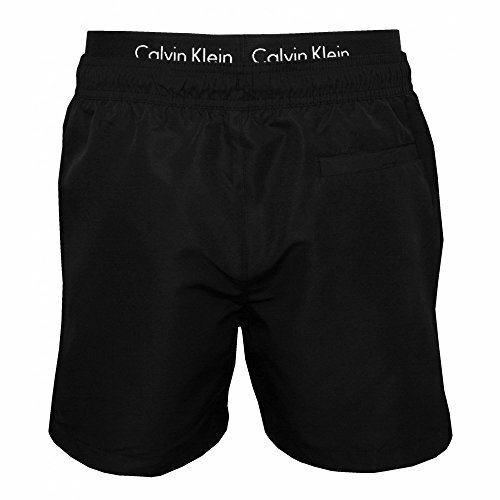 Double waistband Calvin Klein swim shorts in black with contrasting white detailing. Fresh-for-2017 styling on this popular double waistband design. 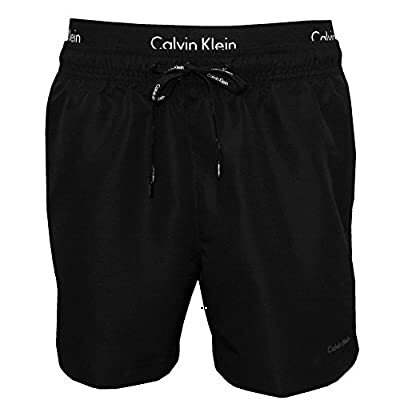 Unique internal elasticated waistband with interwoven Calvin Klein branding that sits on top of the actual swim short giving the impression that you are wearing the fashionable Calvin Klein underwear underneath. 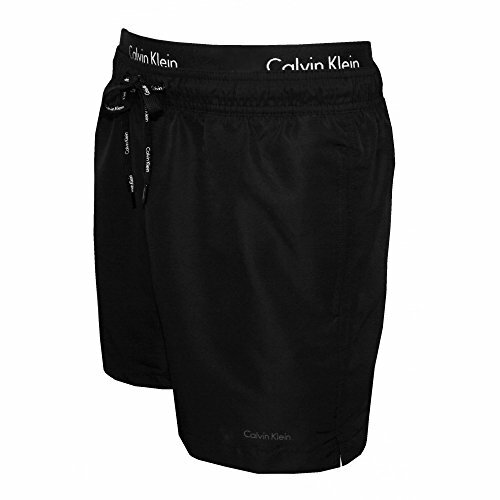 Featuring an outer elasticated waistband with drawstring ties, 2 side pockets and a zip fastened back pocket. A core staple for your swim collection this season. Summer 2017 collection.